Keeping a plant up and running on a daily basis is no small feat. There are many pieces that must be accurately in place and many people who must perform their roles to a T in order to keep things moving smoothly and efficiently in the right direction. While some facilities struggle with this more than others, the plants that have an effective maintenance culture in place tend to be the ones that thrive, keeping things running and on schedule the vast majority of the time. Wondering what a healthy facility maintenance culture looks like? Think your plant could stand to improve its current maintenance culture? Read on to find out! What Is a Healthy Facility Maintenance Culture? The maintenance culture within your facility is essentially the infrastructure that keeps your plant operating smoothly on a day-to-day basis. This infrastructure is primarily made up of the people, processes, and best practices related to proactively maintaining equipment and systems. Efficient communication between the correct team members is essential to ensuring that maintenance issues and potential problems are addressed immediately, before they have a chance to impact facility productivity. Working scheduled maintenance procedures and services into the regular facility routine is imperative to keeping equipment and systems running smoothly long term. Keeping an eye on key performance metrics is another essential element of an effective plant maintenance culture. Monitoring these metrics in real time and reacting quickly and effectively when certain metrics are not as they should be can help to mitigate disasters before they happen. Establishing an effective maintenance culture involves creating a system for prioritizing issues so they can be handled appropriately when they do arise. Knowing which issues are true emergencies that involve immediate attention and which problems are less urgent can help to ensure that plant maintenance doesn’t unnecessarily interfere with everyday operations. Training employees and team members about both the value of maintenance and the appropriate actions to take to keep plant maintenance as a priority is key to establishing a successful and productive plant maintenance culture that truly sticks within your organization. Learn more about the benefits of plant operator trainings and what they should entail here. A spare parts inventory program goes hand in hand with a healthy plant maintenance culture. 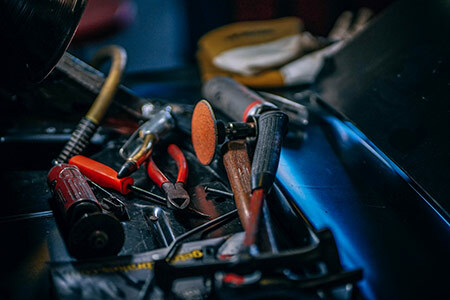 Having the necessary parts on hand shows that ongoing maintenance is truly a priority and makes it possible to tackle manageable equipment and system repairs quickly. Setting up a plant maintenance infrastructure with the components outlined above can be challenging, but is well worth it for most facilities given the impact a healthy maintenance culture can have on overall productivity and efficiency. If your facility is missing any (or all) of the maintenance culture elements listed above but you think your organization could benefit from establishing a healthy plant maintenance culture, you’ve got some work to do. There are many ways to go about changing or enhancing plant maintenance culture. Here are a handful of tips to adhere to as you work to make proactive maintenance a priority. The first, and perhaps most important, step of establishing or enhancing a maintenance culture within your organization is to achieve buy in from all involved parties. From c-suite executives within the company to those who are going to have hands-on involvement in the monitoring and upkeep of systems and equipment on a day-to-day basis, everyone needs to be on board with making maintenance a priority. Maintenance won’t remain a priority unless an effort is made to make it one. Keep system and equipment maintenance top of mind for employees and teams within the organization, focusing on the importance of efficient system operation when it comes to plant productivity. Having an established process for any task, especially one that is new or requires various steps, is imperative if you want a procedure to stick. Set up a process that makes plant maintenance straightforward and manageable. Inform and train those who are responsible for executing these processes, and keep an open mind when it comes to adjusting the processes to make them more convenient. Don’t just “set it and forget it” when it comes to implementing new maintenance processes and procedures. Set expectations for your maintenance program and keep track of whether or not they are being met. Adjust these expectations as necessary to ensure that the program a) is effectively accomplishing what you want it to, b) is feasible to maintain and c) remains in place. Accountability is key if you want your plant’s maintenance culture to be effective and long lasting. Have team members take responsibility for the initiatives and processes established as part of the new culture you are trying to implement. See an issue cropping up again and again? Rather than continually addressing the problem, make an effort to get to the root of the issue. Investigating problem causes – whether it’s a mechanical issue, a user error, or an equipment design flaw – can help you to prevent problems before they happen and quickly address similar maintenance issues in the future. This can help to improve efficiency and increase the effectiveness of your maintenance culture. Understanding the true impact of a maintenance culture can help to perpetuate it and keep it at the top of the list of priorities within your facility. It can be easy to let maintenance fall by the wayside as other important projects and initiatives make their way through the plant, but measuring the powerful impact that a maintenance culture can have when it comes to company profitability and efficiency can help to incentivize team members to keep the maintenance culture healthy. As you measure the impact of the maintenance culture and monitor the meeting of expectations, be sure to celebrate the successes along the way. Maintaining a maintenance culture may not feel overly rewarding on a daily basis, but it will make a powerful impact long term. While there may be setbacks along the way, resolving issues and keeping the plant up and running efficiently is something that deserves to be acknowledged and celebrated. Plus, this positive reinforcement will help to perpetuate the healthy maintenance culture as you move forward. Proactively maintaining equipment and systems can make a tremendous difference when it comes to plant efficiency, productivity and, ultimately, profitability. If you think your facility’s maintenance culture could be improved, chances are you’re right. Many companies don’t focus on developing healthy regular maintenance procedures and processes until they’ve run into a major issue that could have been prevented or mitigated had one been in place. There’s no better time than now to start working towards a healthier maintenance culture. Let the recommendations above guide you as you work towards enhancing your plant’s current culture. Looking for more resources related to plant maintenance? Check out the following articles for additional insight! Establishing a Spare Parts Management Program for Your Facility – A spare parts management program is an important aspect of a healthy plant maintenance culture. Find out how having spare parts on hand can save your facility thousands and keep your business ahead of the game. Plant Shutdown Management: Tips for Planned and Unplanned Facility Outages – Helpful information about how to plan ahead for a scheduled plant shutdown, plus suggestions for how to manage an unexpected pause in facility operations.